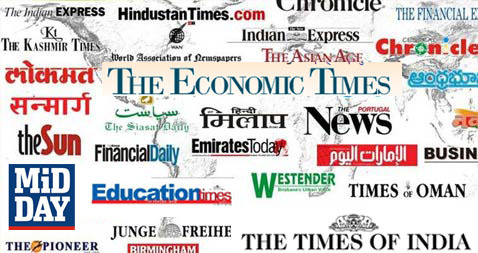 We at Edwise have constantly been giving our expert advice to students keen on studying abroad through our weekly Articles & write-ups that we release in the leading newspapers in India. Quote On New Age Careers by Ajay Sukhwani Director of Edwise in Bombay Times. 01-07-13 Education Times (Mumbai) It's not too late! 17-06-13 Education Times (Mumbai) Overseas Education:– A Bright Future! 21-02-13 Education Times (Mumbai) Puzzled?? 14-02-12 Education Times (Mumbai) New Zealand - Your Destination To Study Work & Reside!! 05-07-2010 Education Times (Mumbai) It's not too Late! 21-06-2010 Education Times (Mumbai) Why are Students Rushing to Canada? 07-06-2010 Education Times (Mumbai) What Can I Study in the UK? 23-04-2007 Education Times (Mumbai) 15, Will you Fly? 16-04-2006 Education Times (Mumbai) New zeal-land! 29-08-2006 Education Times (Mumbai) "New Zealand- a student paradise"
12-06-2006 Education Times (Mumbai) Enroll in uk today!!! 11-04-2005 Education Times (Mumbai) Why indian's study down under!